Graphics and internal computer memory are constantly fighting for resources; it's a war zone. So how do we show that AMD's new A-Series APU, a graphics and CPU hybrid, can help relieve an overrun system? In a digital graphic novel approach, we created characters and a story arc out of PC computer components and targeted gamers. 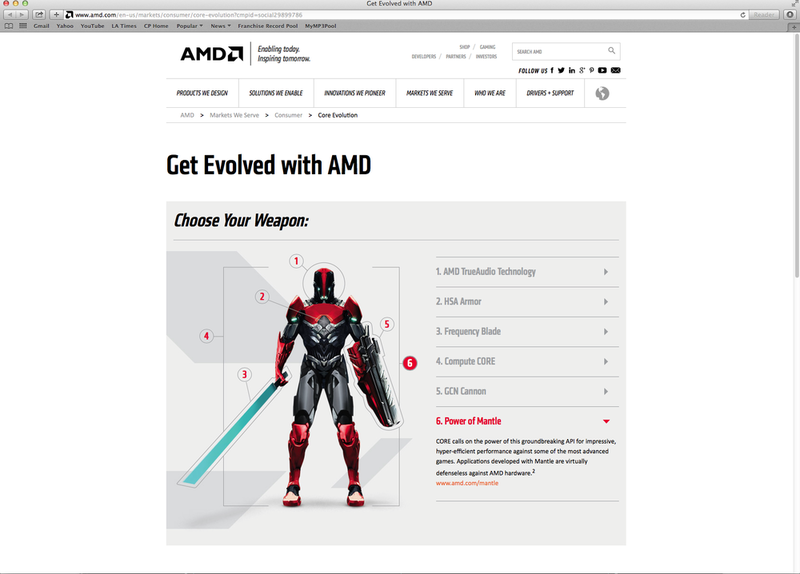 In the end, we showed that AMD’s A-Series APU is packed with enough features and firepower to win any battle. Note: The series was supposed to contain 12 videos in all, but a new CMO came in mid-launch and killed the budget for the rest. Sad day.